Food available for purchase by BBQ FREDs! Music provided by DJ E.T. Click the link below to register your car and show it off on the 18th. We’d love to see everyone there! American Honda Motor Co., Inc. reported July 2013 U.S. sales of 141,439 units, a total increase of 20.9 percent compared with July 2012 (up 16.1 percent based on the Daily Selling Rate, or DSR*). 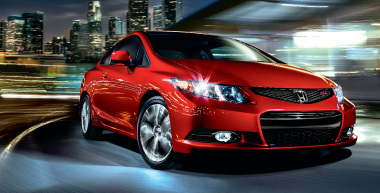 The Honda Division posted July 2013 sales of 126,289 units, an increase of 21.3 percent compared with July 2012. Wax your car regularly. Experts say a vehicle should have high quality wax applied at least twice a year (prefer 3-4 times). 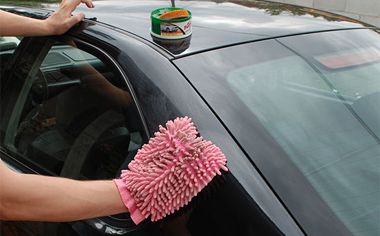 A car wax gives a natural shiny look to your car and helps protect the paint from fading and environmental damage. It takes only about an hour to wax an entire car and the high-quality car wax stays on the car for 2-4 months. So far, I haven’t seen a single product that stays for a life time as you may have heard in some commercials – nothing lasts forever. In order to maintain a protective coat any product needs to be reapplied periodically. Dealers offer this service at a very reasonable price and use some of the best product in the car industry. Bird droppings are very acidic and abrasive. It is very important not to let bird dropping set in the painted surfaces as it will etch thru the clear coat and cause blemishes and permanent damage to the paint. The best way to clean the bird droppings off is to first soak them with water (few drops of soap, if available, will help) for a few minutes and then just spray them off. The stains left from bird droppings will require buffing with the fine polishing compound and then covered with high-quality car wax. If birds target your car regularly it might be a good idea to keep a spray bottle with water/soap in your car, so you can wash the bird droppings off before they cause permanent stains and or damage. 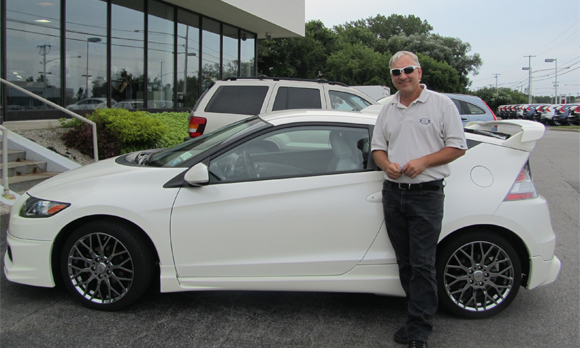 Meet Ray Brooks – A Guy Who Loves Hondas! After several years in the workplace and a few years of marriage, our second child was born and we decided to look for a new car. We lived in the Utica/Rome area and I wanted a reliable car for my family so we drove to Rochester in 1987 to buy our first Honda a Civic 4 door sedan. 10 years and 200,000 miles later the Civic became my car. Due to family connections, my wife drove a few Fords and some other used vehicles for many years. When we moved to Spencerport I drove to Ralph Pontiac Honda at the time and came home with a leased Accord Wagon 5 speed. Needless to say being a 5 speed my wife was less than impressed with me. After two years of absolutely no issues we went back to Ralph for a new car. My wife loves to drive new so we just continue to lease every few years. She has had an Odyssey, CRV and now a Pilot that she absolutely loves! We have 3 kids so I was transformed from the Honda guy to the Honda family. My son bought a couple of used CRX’s – one of which he raced (the 90HF with an engine swap) and an 86 CRX SI that he drove around. We then bought him a new Civic that became mine when he went into the military. I traded it in for a 2006 Civic SI which was a coupe. I still love that car. Both my daughters have driven various Honda’s over the years and they both are now driving Civics. My son now drives an Acura RSX and his wife drives an Insight she bought from Ralph. I now drive the Mugen CRZ that gets a lot of looks because you rarely see one. After 25 years of Hondas, we have driven 3 Civics, 1 Civic SI, 3 Accords, 2 Odyssey’s, 1 CRV, 1 Pilot and 1 CRZ all of which were leased/purchased here at Ralph. Needless to say, I LOVE HONDAS!!! In the last few years, I have been dealing with Bob Tomoser and can say that Ralph has always provided us with a comfortable and fair buying experience. Thank you very much from our Honda family to yours! – LINE 12-inch pizza pan with foil; spray with cooking spray. Arrange cookie dough slices in single layer in prepared pan; press together to completely cover bottom of pan. Bake 14 min; cool completely. – INVERT onto plate; carefully remove foil. Turn crust over; place onto plate. – BEAT cream cheese, sugar and vanilla with mixer until blended; spread onto crust. Top with fruit. – MIX preserves and water; brush onto fruit. Refrigerate 2 hours. You’ll know it’s a special occasion when you get to enjoy a serving of this delicious fruit pizza.